Bursting on the scene back in 2012, The Refinery specialized in brew-to-order drip coffee. 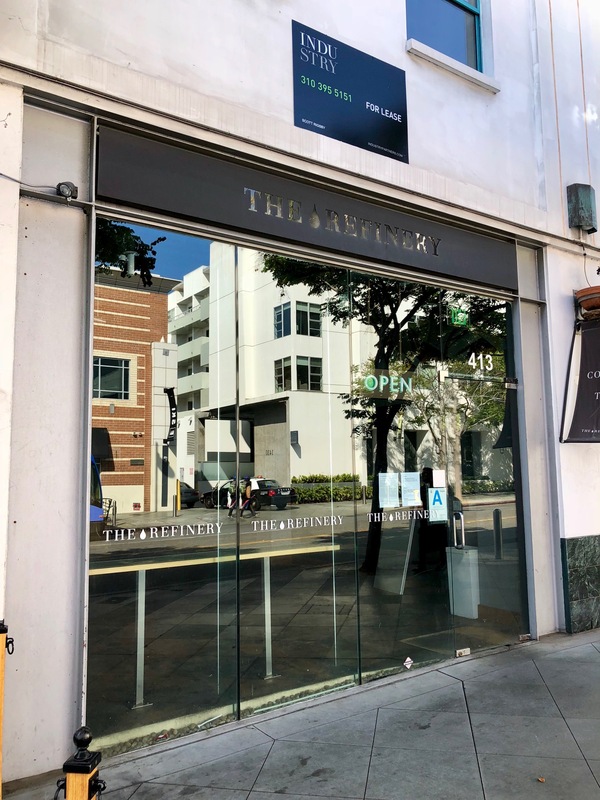 Sadly, it appears that they have disappeared from their space at 413 Santa Monica Blvd. in Downtown Santa Monica. 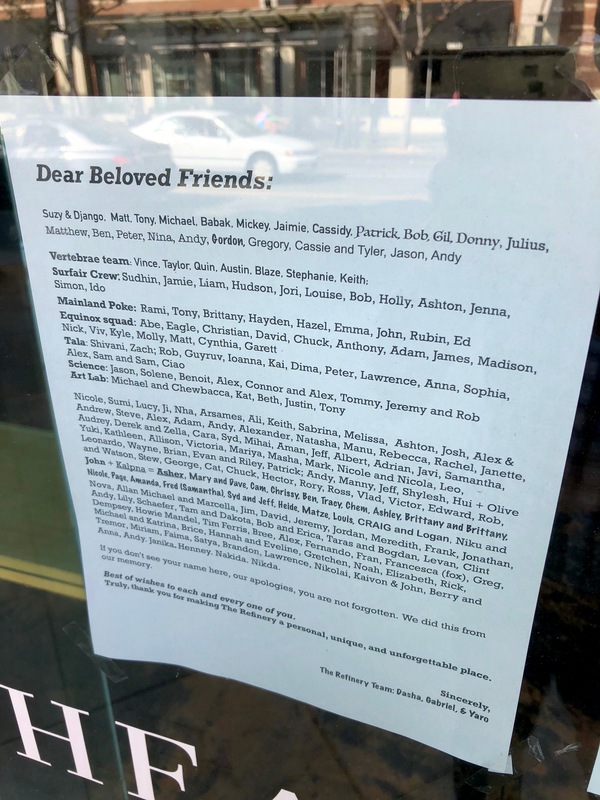 An impressive note on the door graciously says goodbye to many of their loyal customers, each listed by name. This entry was posted in Closed, News and tagged Downtown Santa Monica, Santa Monica, The Refinery by toddrickallen. Bookmark the permalink.